What is the meaning of a signet ring? The Signet Ring has reemerged and become in trend with more and more people choosing it as their new wardrobe staple. Signet Rings were intended to be worn every day, and our Signet Ring collection is no exception. It is the perfect accessory for your everyday wardrobe, big enough to make a statement but practical for the everyday way. Worn by both men and women, don’t be afraid to get involved with this hot on trend jewellery look. What is the significance of a Signet Ring? So we all know that the Signet Ring has been on the scene for many many years, but how did the modern day Signet Ring come into being where did it all begin, and where did we get our inspiration from? The word Signet itself is believed to have originated in Anglo-Norman and Middle French. The signet is most probably the first type of ring made for practical purposes, dating as far back as ancient times. Long before the art of writing, it was still necessary to mark royal proclamations and legal documents, and this is where the Signet Ring was of importance serving as seals. In ancient Egypt, the Pharaohs and nobles would wear rings made of stone or pottery called faience. These Signet rings were ornate with decorations and symbols that denoted power as well as the interests of the wearer such as art and history. Over time there was a significant progression of the materials used to make Signet Rings, and by the Late Bronze Age, the discovery of metal was utilised. The practice of carving the seal into gemstones brought colour to the Signet Ring with the most popular stones introduced into the elaborate designs including the ruby, amethyst and garnet. Originally the ornate design wielded great power and authority and as the emblem was indispensable to commerce they were made into Signet Rings so that the owner could keep his identifying symbol under his control on his very own finger. In some cases, the Signet Ring had to be destroyed after the death of its owner to ensure that the authority it represented terminated. As the value of power that the Signet Ring carried during these times was so great, the authority it resembled transferred to its owner’s designated heir as a symbol of rank, family heritage and social position. 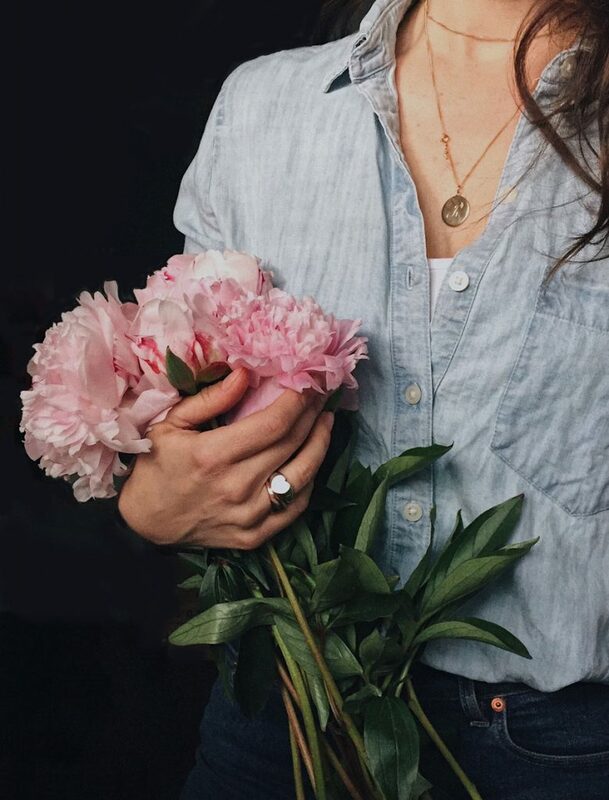 Since many years ago, this tradition has continued, with Signet Rings being passed down through the generations of families, connecting the modern day generation and their family ancestry. During the war years, there are also tales of when a gentleman has pledged his love to a young lady before leaving for war by giving her his Signet Ring, symbolic of the promise of his love. As time has gone on, the Signet Ring has transgressed over class and gender boundaries. By the end of the nineteenth century, men of all classes had begun to wear signet rings. However, as the Signet Ring historically was not purely ornamental, they were never worn by women as they served an important purpose in male-dominated domains. And so typically, Signet Rings were very cumbersome and masculine, made in a substantial and sturdy form to last through the wear and tear of being regularly used to seal documents as well as continuing through several generations in a family. In today’s day and age, the new Signet Ring is worn by both men and women. While the style of the Signet Ring remains a classic; durable, sturdy and very imposing, the strength of the design has not diminished over time. But let’s be honest, the Signet Ring has been in need for a bit of a style update which is what we’ve done with our Signet Rings. Taking inspiration from the Signet Rings of the Greeks and Romans we’ve revamped and modernised the design. Away with the uber-masculine overtones, we’ve taken it back to the basics, revealing the Signet Ring’s gorgeous curves and strong shape. Want to keep your Signet Ring looking traditional? Well, the Oval Signet Ring is the one for you. A sure classic, and a timeless addition to your jewellery collection. We’ve also added a whole lot of love with a glorious heart shaped Signet Ring, indeed making this design all about the ladies. The option to have a brilliant cut diamond embellished on the band certainly makes this ring uber feminine, as well as adding a sophisticated sparkle to your Signet Ring style. You can also personalise our Signet Ring collection. We can hand engrave beautifully scrolled initials onto your ring. Perhaps this could be the recipient of this gifts initials, why not make the Signet Ring all about them? Or make his and hers jewellery, one for you and one for your love, just as in the war years when men gave their loved one their Signet Ring as a pledge of his love for her. Choose to wear each other’s initials on your finger, so they are with you always, a cute sentiment for sure. More and more people are choosing the Signet Ring for their wedding rather than the traditional wedding band, another option worth considering. Still worried about the masculine associations with the Signet Ring? Well, fear not as you could also make your girls Signet Ring that extra bit special and feminine by adorning a precious gemstone to the design. Keep it simple by choosing a Diamond, a symbol of eternal love. Or make it extra personal by selecting a birthstone, one that holds significant meaning to you or the wearer of the Signet Ring. 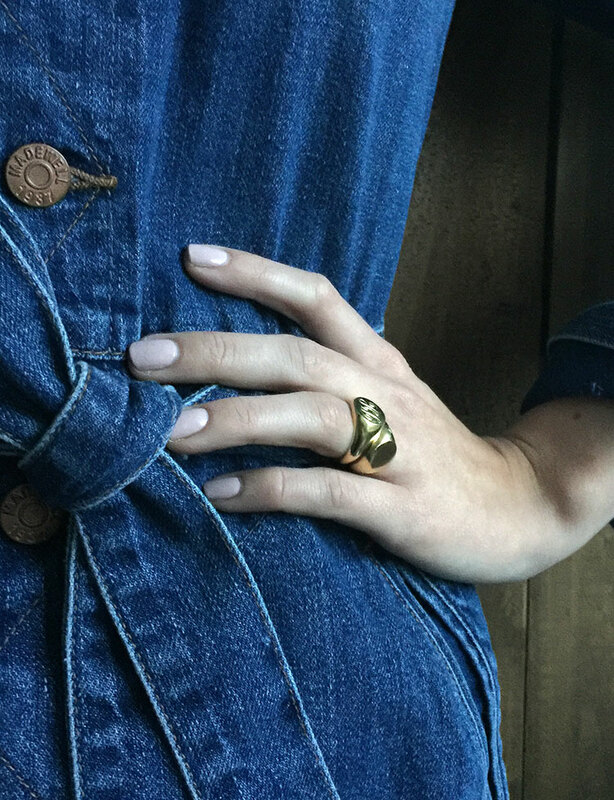 Where do you wear your signet ring? The Signet Ring is a bold statement piece of jewellery, so it can look great on its own on your pinky while also keeping your look simple and clean. We also love layered jewellery at the moment, so why not be a little different and layer up your rings and couple the Signet Ring with other rings from your collection. 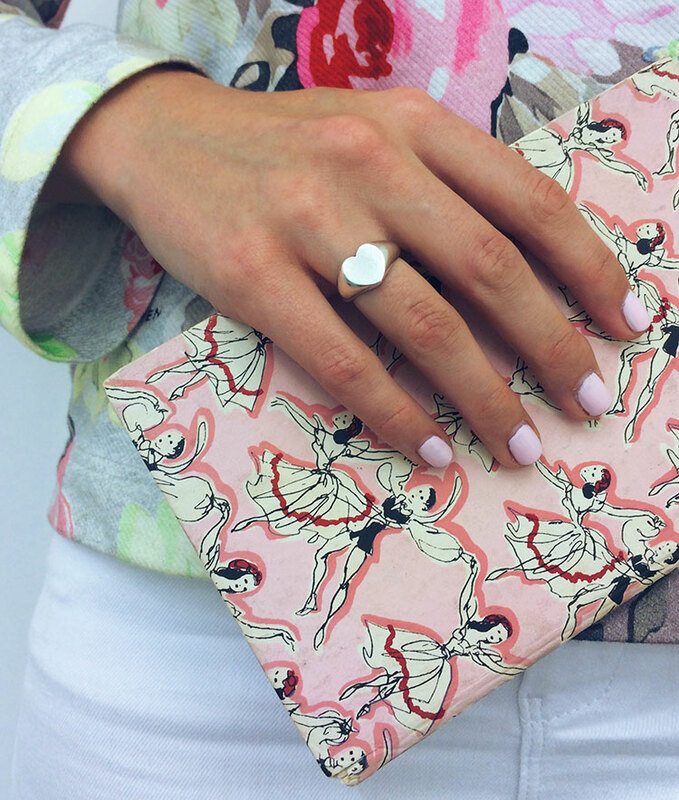 We love the Heart Signet Ring with our Love Heart Ring, double the love and wear it on your finger for all to see and spread the happiness! While we are keen to revamp and keep the Signet Ring looking modern and hot on trend, we can’t forget that a classic traditional piece also is still a favourite and will certainly go a long way for those wanting a timeless piece. In an era where literacy was hardly universal, symbols in place of letters were engraved, and perhaps most commonly family crests, heraldic symbols and tartans of feudal lords were the monograms of the time. Maybe reconnect with your family ancestry and choose to have your family crest hand engraved onto the Signet Ring, introduce a bit of personal history into the personalisation of your Signet Ring. An excellent way to reintroduce the tradition of passing down a piece of your family heritage from one generation to the next. And as the Signet Ring is durable too, it is robust and will withstand all the tests life throws at us! If you don’t know of a family crest in your ancestry, then this is not to say that there can never be one! Why not introduce one now? We can design a family emblem just for you. A crest symbolising your family’s unique story. An exceptional Signet Ring that we would love to be a part of creating a piece so symbolic to you and your family. Please do email us at orders@biancajones.co.uk for any special requests, such as special hand engraving, family crests or embellishments.